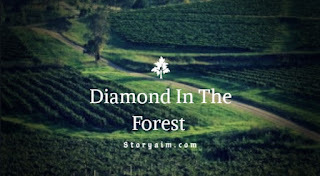 DIAMOND IN THE FOREST EPISODE 32. The guards who were already well feed by Sipah thanked him for his kindness before going to speak to Remi who sparked up angrily at them. “what if I was thorn apart by the wild animals, dead and rot away with my unborn child…do you all ever imagined such happening…if I was dead I know the kingdom will still survive without me…I just don’t want to go and I told the prince if he rejects my unborn child then he should never come for him later…I told him exactly that and I still hold onto my word…let non of you speak to me of this again…return back to the kingdom first thing tomorrow morning and tell your prince that I refused…I was cast out, humiliated, nobody believed me or gave me a chance to speak….now they want me back…that is never going to be possible. Remi stormed out angrily and went into her room. Sipah was seated with the confuse guards who did not know what to do. Sipah turned to them. Later that night after Sipah showed the men where to sleep for the night he went to Remi’s room and knocked on the door before going in. Remi smile as Pah pretend not to know what please is but just wanted to cheer her up. “please is jowo or ejoo which is generally used, you just said it now Pah, don’t make me laugh I’m not in a good mood, I don’t want the prince, we have nothing together, he rejected me and Ademide just when I needed him…I just don’t want to leave here…what of you and Mikai, even if I have to leave then I am not leaving without you, Mikai and Ore too. We all must go together if not then I am not going anywhere. Remi insisted on not leaving without Sipah, she said she can’t leave him alone in the forest that he must come along or she won’t go anywhere. 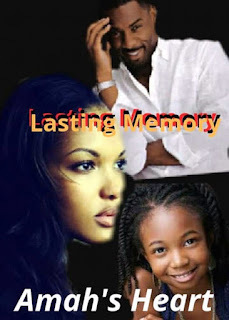 It took time before Sipah agreed to go with her maybe after sometime he will return back to the forest but Remi told him if he was going to return back to the forest that she will also come along with him. Sipah smile and told her that she was about to find her purpose in life which will keep her very busy. Remi was having double mind of leaving the forest, she began to think of the whole thing before sleeping off that night. Mikai who suddenly woke up started laughing at Sipah’s tone of voice, Remi joined in and little Ademide awaken and was looking at everyone as they all laugh at Sipah, he also started giggling in laughter which made Remi to laugh even more. They left the forest as evening approach, Mikai was hanging her bow and arrow, Sipah carried Ademide on his shoulder and later gave him to Remi who backed him with the same prince's wrapper which has being so helpful to her and still retains it’s color except for the stain that wasn’t so obvious now. Mikai was so happy as she look forward to changing environment for the first time in her life. The journey lasted for three days, they met another set of five palace guards coming to the forest. They said the prince has sent them into the forest for another search since the second set of guard has not returned for over five days. Everyone was happy as they travel back to the kingdom.